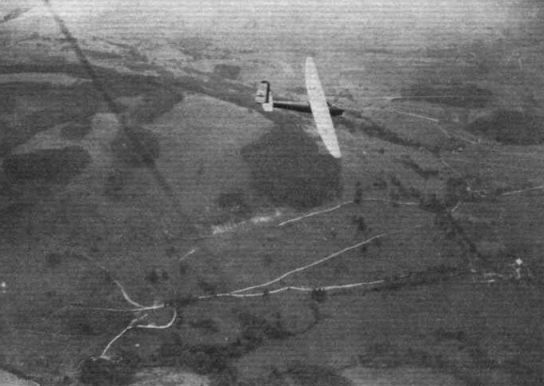 The Darmstadt glider soaring over the Gersfelder Valley, as seen from an aeroplane. Herr Fuchs of the Akademische Fliegergruppe Darmstadt, landing at Staaken in the "Starkenburg," after having flown from the Tempelhof Aerodrome over the City of Berlin. 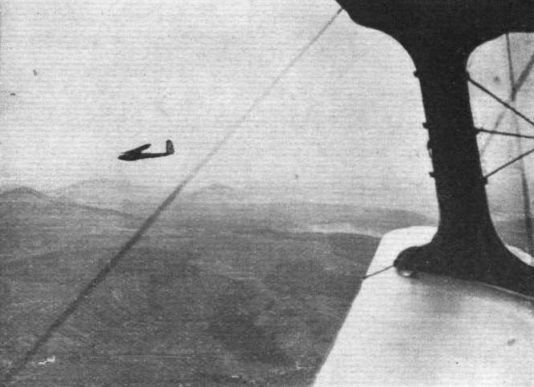 He was towed up to gain his initial altitude by a Klemm (Argus).